The African Child is not strictly speaking a novel, but rather an autobiography of a young teenage boy called Camara Laye. Laye is a Malinké Muslim from Guinea (Guinea-Conakry) who is growing up at home with his family. His father is the local blacksmith. His mother is a housewife. Their house is crowded with extended family and blacksmith apprentices that live with them. The book begins with an exploration of Laye’s typical childhood, in Kourossa and his dreams about the future. It unravels life at school, his first love, the relationships with his friends, and ponders the summers spent at his Grandma’s house in Tindican. Throughout the book, the Guinean writer intertwines the cycle of life with a narration about deeply rooted African customs, such as entering secret fraternities (dispelling the myths about what is real and that which is simulated), circumcision, which marks the passage into manhood, local festivities and other African magical rites that are based on superstition. Some rites imply the spiritual union with certain animals that act as totems or spiritual guardians. These totems might be snakes (the protective black snake plays a key role here) or crocodiles, among others. As Laye matures, the complexities of his arrival and life in ‘the big city’, Conakry, unfolds, from meeting his real love to receiving a scholarship to study in France, much to the dismay of his mother who looks on as her son packs his cases once again. Abruptly, this is where the book ends, with Laye’s departure to Europe, which coincides with the death of one his best friends. I must say that I did not enjoy this novel or autobiography, mainly because it is such a simple story. In this case, simplicity is not a virtue. It comes across like a book written by a very tidy and responsible student who applies himself and tells his life story in a plain style, almost trivial and ‘editor-like’. The book is plagued with clichés and the stories are not able to lift us out of boring conventionalisms framed by poor narrative skills; everything proceeds in an orderly fashion, driven by certainty, the obvious and the normal. There is no emotion, no rhythm, no imagination and no added value, just simply the diary of a boy who endeavours to share his life story. And that doesn’t cut it. Certainly, The African Child can be of use to many readers, especially readers who are not well versed in all things African. They will be educated on the ins and outs of the life of an African boy, which, by the way, is not that different to the life of a European or North-American child in many aspects. Readers will also find that this book describes rural life in Guinea rather well (which is very similar to rural life in many African countries), as well as the dilemmas faced by almost all human beings throughout their life, all of which is narrated, I repeat, in too simple and trivial a manner. One could say, in short, that the book does not convey any specific message, but rather tries to explain the circumstances surrounding the life of an African boy, which can be extrapolated to tens of thousands of similar realities. As the novel’s epigraph explains, this is the narration of a boy’s passage into manhood and newfound independence. On another note, the in-depth description of details (something most West-Africans know well) makes me wonder once again whether this book is aimed at whites, but this just a wild guess. Blacks can also be at the receiving end of this book. But within Africa, readers from the East, South and North of the continent will find it more original than those from West Africa, who may find all the explanations and descriptions in the novel redundant. One thing that struck me, among other oddities, was the fact that the original title in French, “L’Enfant Noir” (“The Black Child”), has been modified to the more diplomatic “The African Child” in its English translation. That’s fine. What I also found remarkable is that “black” can also be used pejoratively by Africans themselves, something I have been able to corroborate in Liberia, where one often talks of a “black deal” when referring to a flawed agreement. 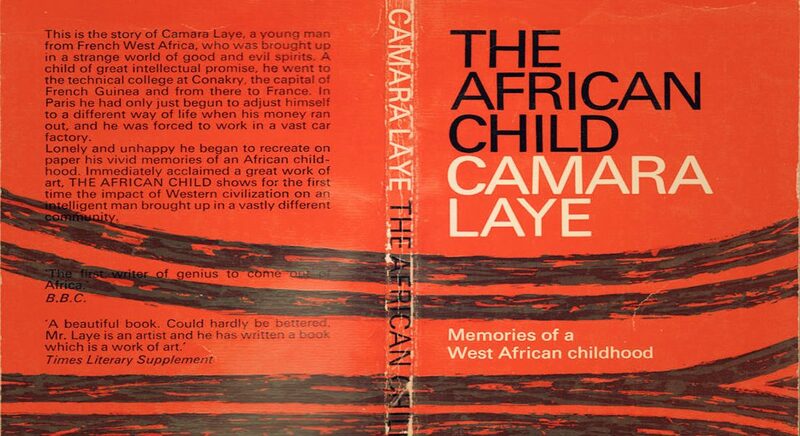 I was also taken aback to find out how young Laye was when he published this book, which was his first: he was 30 years old, which may well explain its poor quality. The poor quality has nothing to do with James Kirkup’s praiseworthy translation of the French novel into English. Lastly, it comes as a surprise to read such flattering reviews by different media, such as the BBC, which describes Laye as “the first writer of genius to come out of Africa.” The Times Literary Supplement qualifies the book as a “work of art” while William Plomer states that the novel combines French lucidity with African warmth. Anyhow. I think your criticism on the book is too Eurocentric. And this makes me wonder how you judge the ‘literaryness’ of an auto biography. Remember, this is a fictional auto-biography. All you did was to pick up the tiny parts that are not good enough fo you as means to label the work as poor. Except the fact that the use of suspense is quite poor in the book, the book is perfect. I have read the African Child by Laye .And each time I read it,there is a great deal of how Laye deals with African spirituality ,to a great extent a constant motif of African spirituality is well developed ,but also how Laye deals with character trans-nationalism and the idea of a “been-to” .To Laye the African child is always lost between African Endogenous education and western education.